Deciding which hotel to choose for our annual gathering was not that easy, even in Bali! There were too many great hotels to choose, while we had to stick on our budget:p We were also confuse on deciding which area to choose, will it be the hectic Kuta, Denpasar (with the privilege of getting closer to our office in Denpasar), or Nusa Dua. After all the discussion, our friends in Denpasar office recommend Harris Hotel at Bukit Jimbaran. When I saw its website and found out that it has a rooftop dining area, I agree to choose Harris Hotel Bukit Jimbaran. We were looking for a restaurant to cater our group dinner (around 100 people) in Nusa Dua or Jimbaran area. Three restaurants were on the top of our list which were Klapa Resto, Bebek Bengil Nusa Dua and Bebek Bengil GWK Jimbaran. At the end we choose Bebek Bengil Nusa Dua; Klapa Resto's buffet dinner was too expensive while Bebek Bengil GWK was too close to the hotel we stayed: Harris Hotel Bukit Jimbaran. 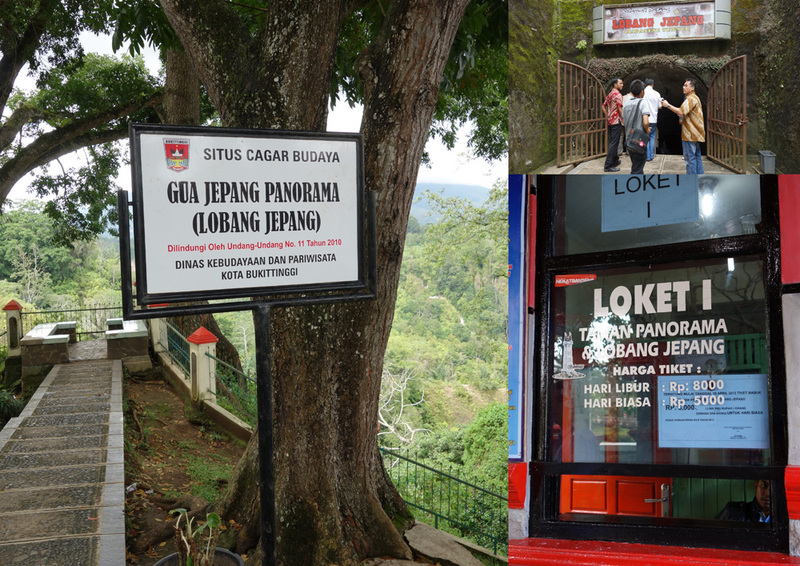 One thing that must be on your list when you visit Bukittinggi is the Japanese Cave or called by local as Lobang Jepang or Gua Jepang Panorama. Lobang Jepang is a bunker build by Indonesians under forced labor of Japanese soldiers between 1942-1945. 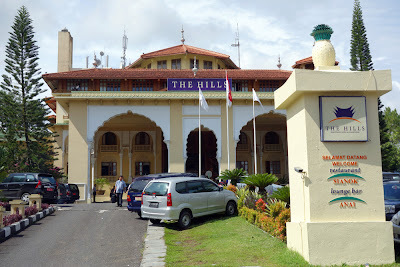 This place is about 15 minutes from Jam Gadang, the city center of Bukittinggi. So if it's your first time visiting Bukittinggi, this place is easily accessible. Back in 1997 to 1998, I spent a year of my High School in a city called Eindhoven in the southern part of the Netherlands. Yeah..soccer fans must know PSV Eindhoven, a soccer club supported by Philips. I was staying in a sub-urban area called Waalre and had to ride my bicycle to St.Joris College located in the southern part of Eindhoven. 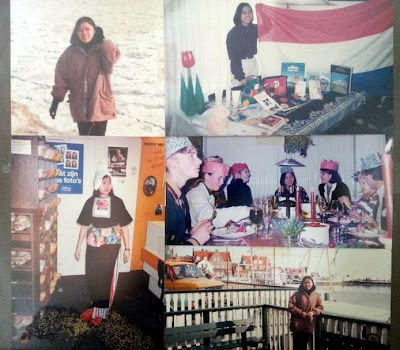 I participated Rotary International student exchange program, stayed with 4 Dutch families (1 family every quarter), mingled with local people, traveling around the country, including taking picture in Volendam and skating on a frozen sea. I had a chance to travel around Europe with other 60 students from all over the world who were also staying a year in Holland with the exchange student program. When I was looking for a hotel for a business trip in Bukttinggi, The Hills was on the top of my list, but still I checked through tripadvisor if there's any other recommended hotels. Grand Rocky Hotel was also recommended but I decided to book The Hills as it was closer to the center of the city. This hotel has an eye catching look from outside, and yes it was only 5 minutes away by foot from the famous Jam Gadang. Now I found a reason to stay in Jimbaran area if I have the chance to go to Bali with kiddos someday, it's because a very kids friendly beach called Pandawa. "Where are you from?" a Balinese tourguide who were working for a group of tourists from Sweden asked me while I am enjoying the scenery of Jatiluwih. I answered. "West Java" and he continued "You have rice fields also in Java Island, why you traveled all the way to Jatiluwih for this rice fields?" I went to Jatiluwih after completing series of meeting in Denpasar, so we came too late to this beautiful place because when we arrived at 4.30 pm, there was no sunshine and the restaurant was almost close. Our friend Tri Panca insisted to take us here, he said it's the most beautiful rice fields he has ever seen. And I have to agree with him. It was a long journey from Denpasar to Jatiluwih, we had to pass some bumpy and narrow road as well. After 2 hours drive by car, we arrived at Jatiluwih and enjoyed a very beautiful rice fields. the view at Jati Luwih is so breathtaking! It was an honor when 16 of my friends signed up an extended business trip in Bali and join another Mommies Day Out program. But this time our group consist of 16 mommies and 1 Dad:p I arranged the van rental and also hotels booking for the whole group. And of course the most exciting thing as always, decide where to go in our itinerary. When it comes to watching sunset session, I choose Potato Head but a bit worry with the seats for 17 person! Lucky me that Puput who is also joining the trip came up with an idea to see the sunset at Mozaic Beach Club, a more private beach club compared to Potato Head. We arrived at 5.30 and only few guests were there. It was like like having this beautiful place only for ourselves. This place was introduced by my friend Puput, she said that Motel Mexicola Bali is a really great place to take pictures:D So while our huge group went to Khrisna on Sunset Road for shopping, we took taxi to Motel Mexicola Seminyak. The taxi took us to the same direction of Potato Head, and turn left to a smaller street called Jl.Kayujati. It stopped in a really colorful place: the Motel Mexicola. Don't be confused by its name, it is a restaurant, not a motel.